Two Dead, One Injured After Woman Slammed Car Into A Toyota | Schuler, Halvorson, Weisser, Zoeller & Overbeck P.A. A Port St. Lucie woman’s blood-alcohol level was twice the legal limit when she slammed her car into a Toyota Corolla killing two of her passengers and injuring the driver of the Toyota Corolla, Florida Highway Patrol recently released records show. 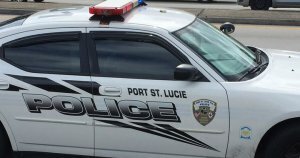 The 34-year-old was arrested on DUI homicide charges in the West Palm Beach wreck that killed a 31-year-old woman and a 21-year old and also injured a 26-year old driver of Port St. Lucie. A Judge placed her on house arrest as she waits for trial. She will be allowed to care for a relative during her confinement. A witness told city police that the 34-year-old was speeding on Palm Beach Lakes Boulevard heading toward the intersection with Okeechobee Boulevard. She was hanging out the window yelling and waving her arms, the witness said. She then lost control of the car, which turned counterclockwise and into a Toyota, the witness said. When police arrived the two passengers had already died. While the 34-year-old was unresponsive in the driver’s seat. Police records show she was driving at least 49 mph in a 40-mph zone. Results of a blood test show the 34-year-old had marijuana in her system, as well as drugs used as sedatives and anxiety medication.